Synopsis: The thoughtful and gently observant poetry of Nance A.K. Stamper is certain to inspire readers. Known until now for her playful children's book My Dog Jeb, which she wrote and illustrated, Nance reveals a deeper side in these meditations. Whether building on imagery drawn from the Bible or from the splendor of natural surroundings, her poetry notes God's loving presence in details big and small. 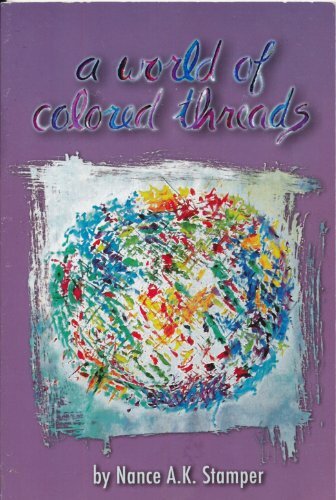 A World of Colored Threads is illustrated throughout with photographs that beautifully complement the words with which they appear. Enjoy your journey through A World of Colored Threads!